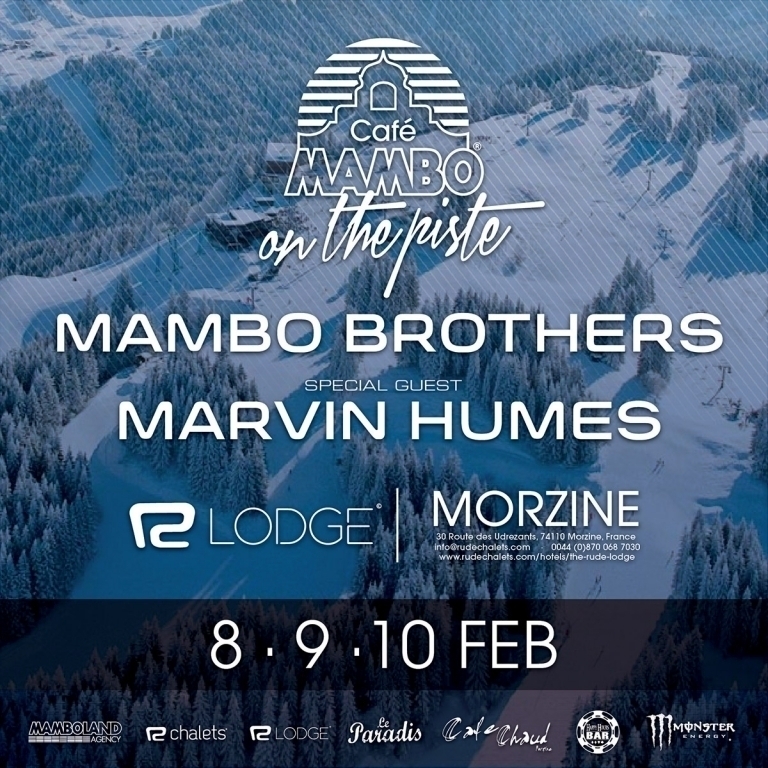 It's back for the 4th year in a row... this February we're heading to the slopes of Morzine (French Alps) for Mambo on the Piste 2017! Marvin is a name familiar to many for his skills as a singer and TV presenter but he first caught our attentions in the summer when he proved to be perfectly at home in the Cafe Mambo DJ booth, rocking the crowds for Martin Solveig's 'My House' pre-parties. His infectious energy behind the decks made him a huge hit and we simply couldn't wait until next summer to have him back with us! With prices starting from just €520pp, including 3 nights accomodation, ski passes, equipment hire and access to all the Cafe Mambo events, this really is a great value ski + party experience. So what are you waiting for?! BOOK NOW VIA The Rude Lodge and get ready to party on the piste Cafe Mambo style!